Seaspray Group has commenced the third phase in a major five-year restoration of the magnificent Palm Beach oceanfront estate, La Salona. 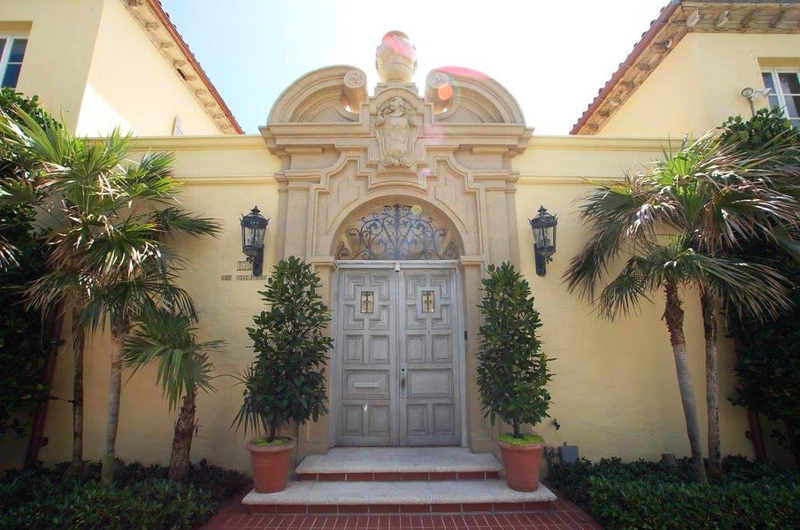 This Mediterranean-style property was designed in 1926 by Beaux-Arts architect, Marion Sims Wyeth with an addition in 1929 by the famed Palm Beach architect, Maurice Fatio. La Salona features beautiful stenciled cypress ceilings, a wine cellar for two thousand bottles of vintage and cut coral walkways to lavish gardens with fountains. Seaspray Group is renovating and restoring this one-of-a-kind residence originally built for esteemed Palm Beach attorney, WR Reynolds and occupied by famous socialites including Kimberley Farkas. During the restoration, Seaspray Group is applying painstaking and meticulously attention to preserving the original aesthetics by utilizing bespoke techniques and finishes using their highly-skilled artisans and luminaries. In addition, they sourced materials from around the globe to honor and embrace the history, period and timelessness of this prestigious property. In May 2015, Seaspray Group began work on the next phase of restoring and rebuilding the property working alongside renowned interior designer, Mimi McMakin of Kemble Interiors and architect Raphael Saladrigas of Saladrigas & Cohen Architecture. This phase will further beautify the interior and bring comfort and tranquility to this landmark home. Since 1979, the principals of Seaspray Group have constructed, renovated, restored, preserved and managed the most prestigious properties in South Florida encompassing landmark and historical homes designed by Addison Mizner, Marion Sims Wyeth, Maurice Fatio, Howard Major and John L. Volk.